Does Your Gym Offer All This? 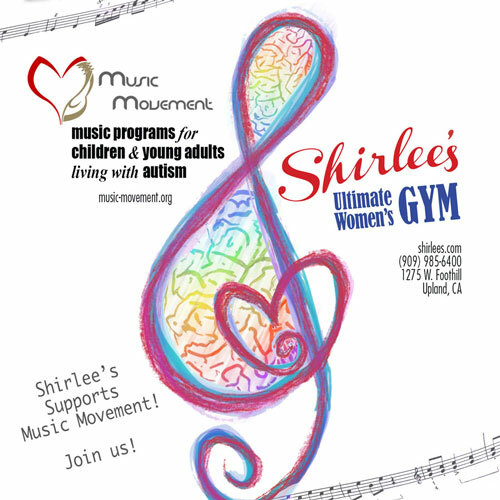 If you belong to another gym in the Inland Valley but are not satisfied, we invite you to consider Shirlee’s Ultimate Women’s Gym in Upland. Check out all we offer and compare. We think you will find that Shirlee’s offers a great value for your fitness dollars. 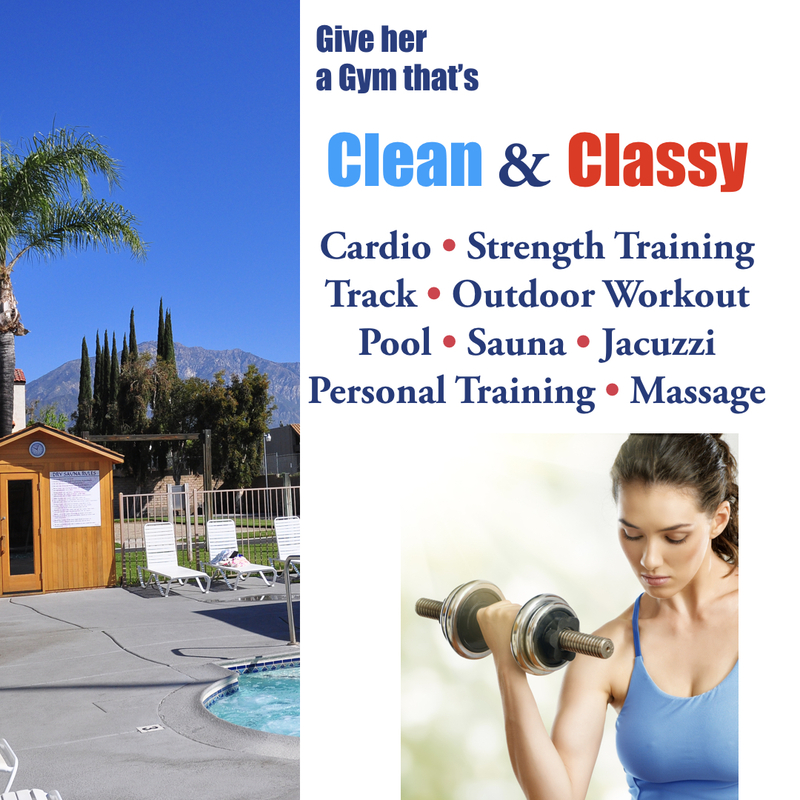 Shirlee’s Gym in Upland offers a Gym Transfer Special: turn in your current gym membership card and receive a discount! 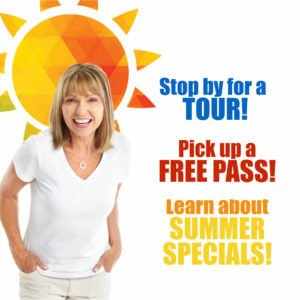 We invite you to stop by the club for a tour and a free trial pass. 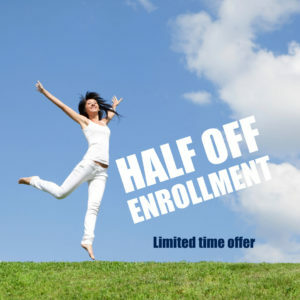 We also have specials discounts for people who like our Facebook page. 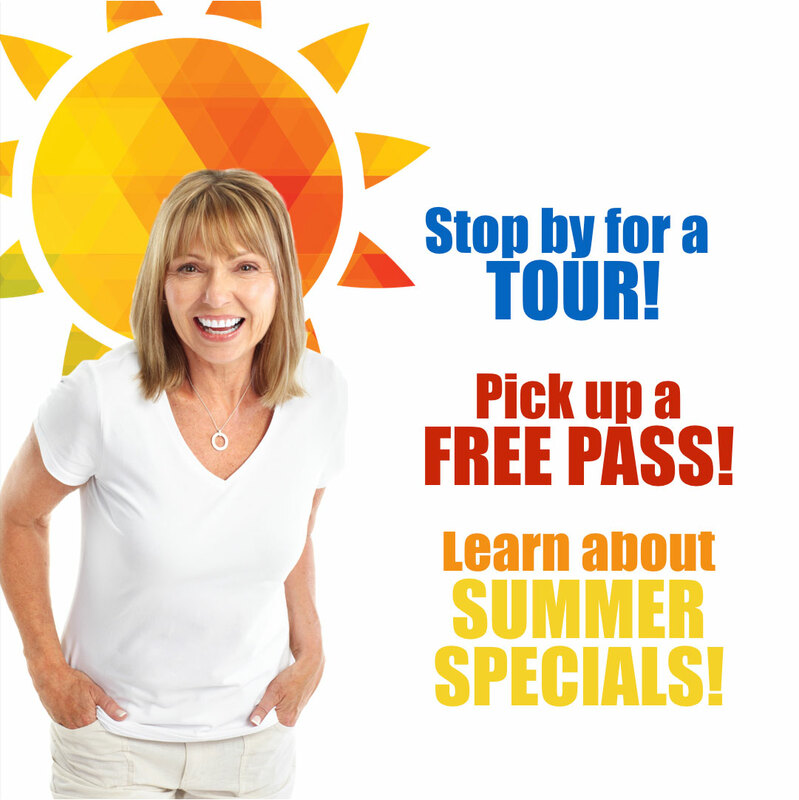 To learn more about all our current specials, please call (909) 985-6400. 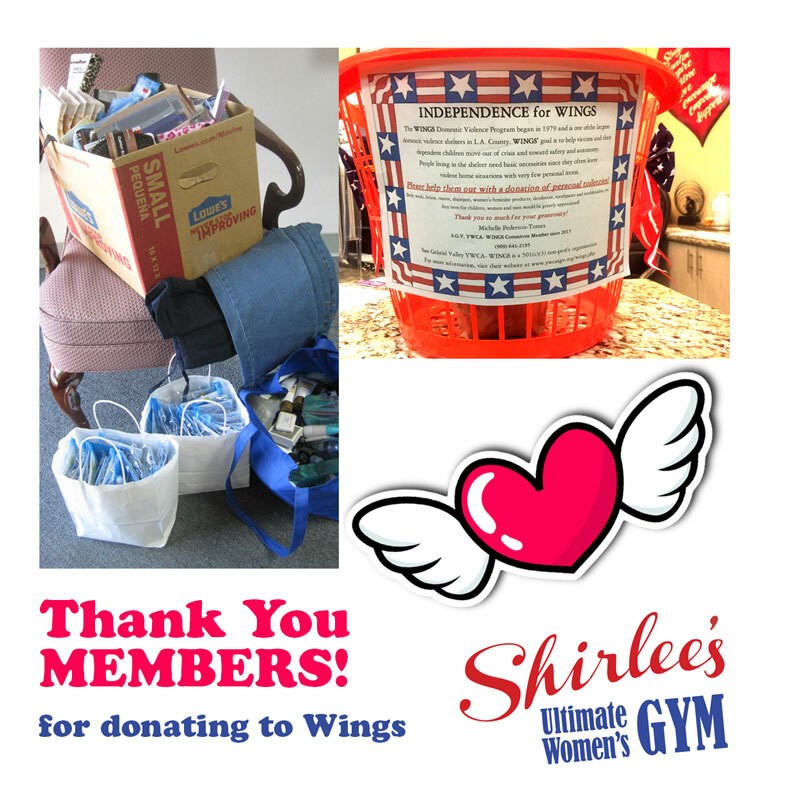 Shirlee’s Ultimate Women’s Gym would like to thank our members who generously donated items to our Independence for Wings campaign. The Wings domestic violence campaign began in 1979 and is one of the largest shelters in LA. Wings helps victims and their dependent children move toward safety and autonomy. People in the shelter need basic necessities. Thank you to ladies who donated personal toiletries or gave a donation. This campaign was coordinated by Shirlee’s through Michelle Peterson-Tomes, a San Gabriel Valley WINGS member since 2015. So proud of our ladies who are ShirleeStrong. 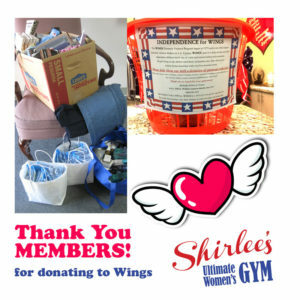 As a women-owned and operated gym, Shirlee’s supports local causes in our community, a commitment we call ShirleeStrong. Just as we are committed to the health of our members, we are also committed to the health of our larger community. Thank you for supporting our goal. 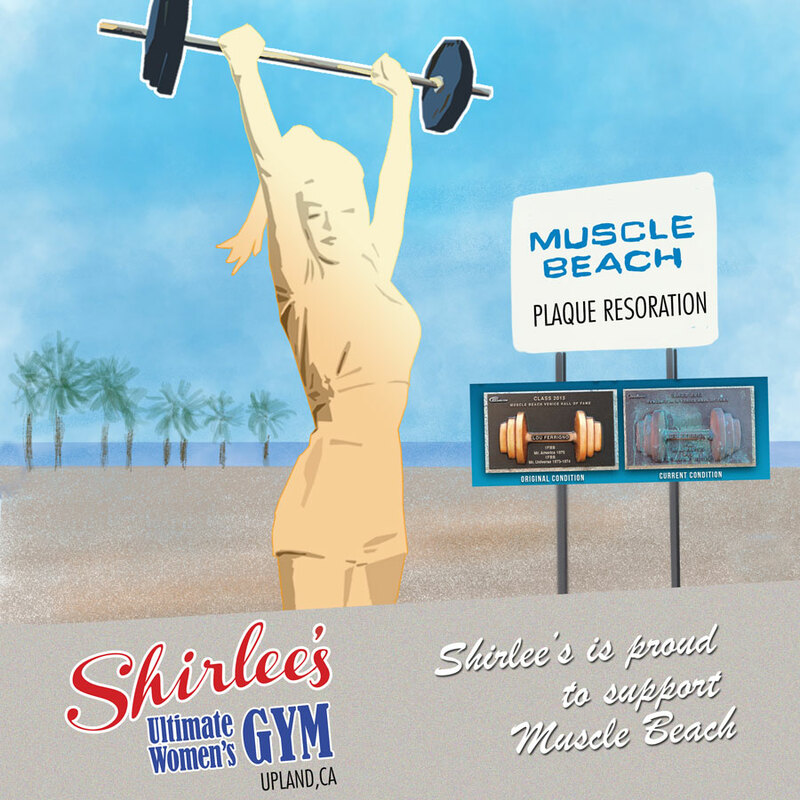 Shirlee’s is making a video about our gym, and we want our members to star. We will be asking members to say a few words about why they love Shirlee’s. Our video will be used on our website and our FB to promote the gym. We hope you will participate. Please ask at the front desk for more details or email Konnie at konnie@shirlees.com. 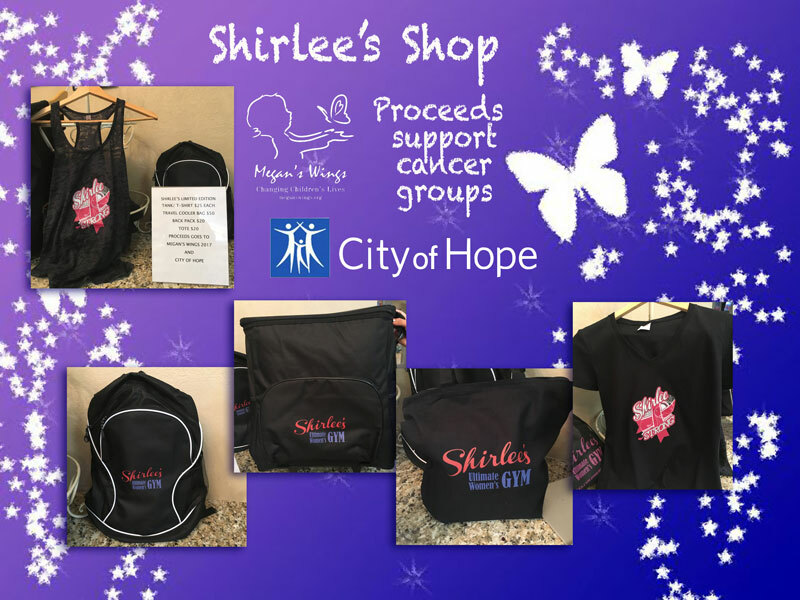 THANK YOU so much for supporting Shirlee’s.